As rural health care markets experience the impact of a physician shortage, it is important to look at available data to understand how the physician shortage affects the healthcare industry as a whole. 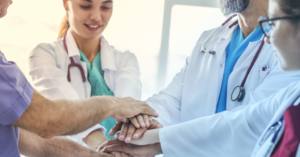 Results from recent large-scale surveys conducted by Association of Staff Physician Recruiters (ASPR) and Doximity shed light on industry trends and the impact on recruitment of physicians and advanced practice providers. Based on Doximity’s compensation survey of 36,000 respondents, it is clear that the principles of supply and demand are driving the market and compensation levels are highly variable depending on location and specialty. Four of the top 25 markets for overall physician compensation, including specialties are in Florida. The only other state with four of the highest markets was California. Notably, North Carolina contained the overall highest compensated physician market, Charlotte, and also the lowest overall, Durham. 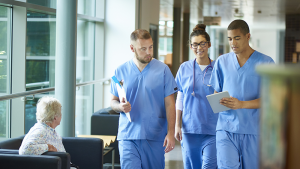 Dynamics driving the physician shortage is explored in depth by the Association of American Medical Colleges (AAMC), which recently released its report on the shortfall of the physician workforce through 2030. Dynamics such as the aging population and the challenge of achieving America’s population health management goals are prime contributors to a projected shortage of between 40,800 and 104,900 physicians by 2030. Another development potentially impacting the numbers of available physicians, and ultimately physician compensation is the current immigration debate. Even though the vast majority of physicians are trained in the U.S., at least 8% are trained throughout the rest of the world. How the proposed immigration restriction contributes to the growing physician shortfall is yet to be seen, but has raised concerns among physicians and educators. Stiff competition will make challenges for recruiters greater than ever. The ASPR’s survey studied 6,500+ recruitment searches, 40% of which were to replace a departing provider. The searches, 78% for Hospitals/Integrated Delivery Systems, resulted in key pieces of data worth reviewing. For example, only 54% of active searches were filled by year-end, while 38% remained open and 5% were canceled. Nearly 75% of survey respondents conducted searches for a Family Medicine Provider, with the two next closest being Hospital Medicine (57%) and Internal Medicine (54%). Lastly, a survey of physicians conducted by MMS to provide professional recruiters with relevant insight about how today’s physicians prefer to learn about job opportunities. Over 95% of physicians want to receive information about job opportunities via email, and 78% of those want to receive it in their personal email accounts. It is important to note that 48% will read the communication on their mobile phone and 37% preview it on their phone before reading it on their PC or laptop. Another critical piece of information is what causes physicians to read about an opportunity. Almost 56% will read it based on the information in the email subject line and 32% of those responded that they want location and specialty information included in the subject. Only 44% responded that they open an email based on the company or individual that the email is from. Again, location is critical to the physician. Over 41% will base their decision on location, while 28% respond that compensation is the main factor. So what does this data tell us about how the physician shortage affects the healthcare industry and recruitment? Clearly, physicians want to learn about job opportunities on their own terms. Most of those surveyed indicate that they usually need to see information two to three times before taking action on it. Also, recruitment information needs to be tailored to the devices that they are using, because most physicians preview the information on their mobile device and are specifically looking for location and specialty. Keeping in mind that location and specialty are the two factors a recruiter cannot control, the challenge is clear: How will we, as recruitment industry professionals creatively and cost-effectively cover staffing shortfalls. What are the true differentiators about our organizations and communities that we can leverage to appeal to a small pool of physicians in an increasingly competitive landscape?